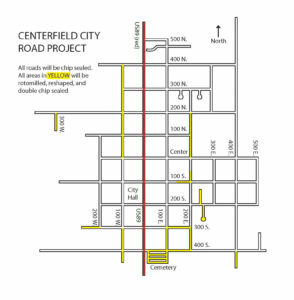 With help from $1.31 million in funding from the Utah Community Impact Board (CIB), Centerfield city is planning a major overhaul of city streets. MANTI—After more than five years of court drama, the cases surrounding the 2011 murders of Woody and Ann Fullwood are coming to a close. Allison Boudreaux and Damien Flores, the last two defendants with pending cases, came to court last week to enter changes of plea to resolve their respective cases. The two defendants had been charged as accomplices of Logan McFarland and faced charges similar to his, although they were not charged with murder. But in 2013 Boudreaux and Flores, who is Boudreaux’s son, agreed to cooperate with the state and testify against McFarland when his case came to trial. At that time, they were released from custody and their cases were put on hold while the McFarland case wound its way through the justice system. Under their agreements with prosecutors at the time they were released, their cases could not reach a final resolution until they testified, or McFarland accepted a plea agreement. Last month, McFarland entered a plea agreement in which he was sentenced to life in prison without the possibility of parole. Now that his case was finally settled, the two co-defendants could resolve their own cases. Damien Flores appeared in court last Wednesday, Feb. 15 to enter his change of plea without counsel. He had been represented by Douglas Neeley up through 2013. But Neeley resigned from the case after the terms of his agreement to testify in any McFarland trial were settled. In the hearing last week, Judge Marvin Bagley read the terms of the agreement to Flores, indicating that Flores would be pleading guilty to three third-degree felonies. The judge also indicated that Flores would be granted credit for any time he had served in custody. But the judge said he couldn’t guaranteeing Flores would not receive further jail or prison time. Flores, appearing surprised at the possibility of more time in custody, asked to have an attorney appointed for him. The court, finding that Flores could not afford to hire his own attorney, appointed public defender David Angerhofer to represent him. Flores’ case was re-set for a pretrial conference on March 1. Boudreaux appeared with counsel Andrew Berry to enter her change of plea to two second-degree felonies, burglary and obstruction of justice. Judge Bagley stated he knew Boudreaux from her recent graduation from drug court and asked her attorney if Boudreaux would consent to him hearing her case anyway. Berry said his client would continue with Bagley. Boudreaux agreed that those facts were correct. Judge Bagley accepted the change of plea, and set the sentencing for April 21. EPHRAIM—After a public hearing a couple of weeks ago in which the Ephraim City Council heard criticism of its decision to have Sunrise Engineering do building inspections, the Ephraim City Council voted last week to return to using the county building inspector. The public hearing occurred on Feb. 8. Ephraim City Mayor Richard Squire opened the hearing by explaining why the change had been made. “We were experiencing a gap in services between what we needed and what the county was providing,” Squire said. He said that the main problem was the county was not informing the city when the final inspection would occur so the city could send a representative to the site to make sure the building complied with city zoning requirements. In one case, the city representative not being present led to a lawsuit. “We tried repeatedly to work out communication with the county and were unable to work things out,” Squire said. Ben Gordon, a local developer, criticized the building permit fee increases that came along with the switch to Sunrise. “These increases do hurt. They hurt a lot of people.” He said many of his clients are retirees, who want to be near the temple and still be able to shop at Walmart. The increase in costs reduces their ability to qualify for a mortgage. On Wednesday, Feb. 15 at the regular city council meeting, the council turned to Bryan Kimball, director of community development, for the city staff recommendation. Kimball said after the public hearing, the city staff had “looked around” at other government entities in Utah to re-evaluate their position, especially on fees. Kimball and other staff spoke to staff in other counties and municipalities with similar demographics to see where Ephraim fell in relation to them. Ephraim currently charges $3,300 for a typical building permit. San Juan County charges $2,659. Wayne County charges $2,000, and Sevier County charges $3,053. The city of Richfield charges $3,300. After looking at the other entities, and considering the comments made at the public hearing, Kimball said the city staff recommended a reduction in the city building permit fee to $2,246. Kimball noted that the new fee would be less than the industry standard, but would still cost more than what the county charged, at $1,632. Tracy Christensen, the Sanpete County building inspector, was present. Scott asked him whether the county could resume permit issuance and inspection of new Ephraim construction. Christensen replied that he did not think it would be a problem. Scott then motioned for the city to go back to having the county issue building permits and perform building inspections for Ephraim City and to discontinue using Sunrise Engineering for those services. The motion passed unanimously. Cory Gleason of Mt. 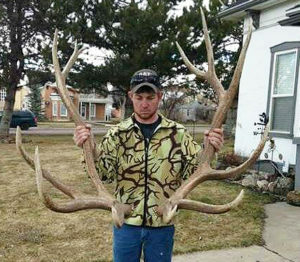 Pleasant holds up a pair of giant antlers he found before the Utah Division of Wildlife Resources banned antler gathering statewide. Gleason says he is disappointed but understands the reasons for the ban. FAIRVIEW—On a night dedicated to bringing out the “Masterpiece” in all the contestants, Kelsie Nielson was crowned Miss Fairview last Saturday night. The Miss Fairview Pageant, which was themed “Masterpiece,” was held at the packed Peterson Dance Hall in Fairview. The pageant was emceed by Shayne Thompson and outgoing Miss Fairview, Lydia Madsen. The entertainment was headlined by local duo Skyline Drive, featuring brothers Ross and Luc Christensen, who announced that this summer they would be traveling to Nashville to compete in a national talent contest. Joining Nielson as in the royalty as first attendant will be Ireland Rawlinson. Rawlinson is the daughter of Sean and Shauna Rawlinson. She showed a presentation of her art work as her talent performance and was named Most Photogenic and Miss Congeniality. Nicole Day was named second attendant. Day is the daughter of Allen and Andrea Day and performed a piano solo, “Spanish Dance,” by Anton Bilotti. FAIRVIEW—Being Miss Fairview is something of a family tradition with the Nielsons. The recently appointed 2017 Miss Fairview City Kelsie Nielson has three older sisters, and all four have now claimed the Miss Fairview title. The Nielson sisters are the daughters of Mike and Debbie Nielson. Debbie is on the Miss Fairview City Pageant Committee. Kelsie’s sister Kylie took the title back in 2008. 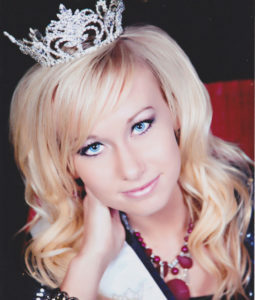 Debbie says Kylie is currently the Miss Carbon County Pageant Director and a professional photographer. Kylie is married to Chris Howes, and they live in Price. 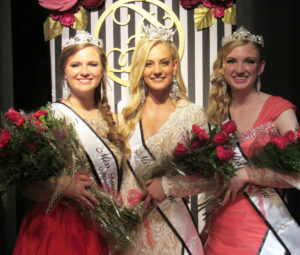 The very next year, Kassie Nielson earned Miss Fairview City 2009, and her sister Kylie crowned her when she won. 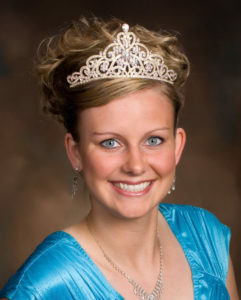 Kassie later went on to be crowned Miss Sanpete County 2011. 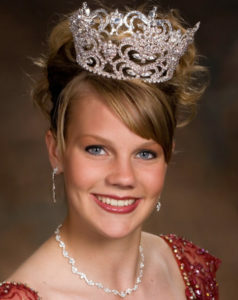 In 2012, Kaytie Nielson was the next Nielson sister to earn the Miss Fairview title. 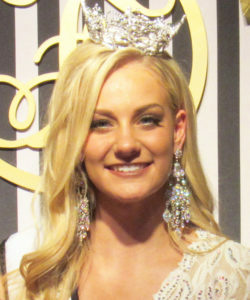 Kaytie is now the reigning Miss Sanpete County and will compete in the Miss Utah Pageant this June, says Debbie. The new Miss Fairview, Kelsie, was also the first Little Miss Fairview when the pageant was introduced in 2012. 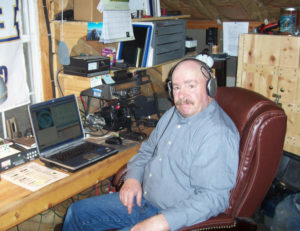 Spencer Shields of Hideaway Valley, a member of the Skyline Amateur Radio Club and one of the instructors for the club’s upcoming amateur radio licensing class, is seen here in his “radio shack” along with his radios. EPHRAIM—A free support group to help local parents and caregivers of children with Autism Spectrum Disorder or Asperger’s has started up. It will be held the second and fourth Saturdays of the month at 10 a.m. at Sunray Family Counseling Office, 45 West 700 South, in Ephraim. The peer-led support network will facilitate autism-specific learning through professional presentations and parents sharing first-hand experience. It will include special guest presentations from professionals with expertise related to autism. A schedule of guest speakers will be maintained on Facebook at SanpeteAutismParent Support. EPHRAIM—Is it just another whopper of a fish story, or could it really be true? That’s the question William Bloom asks when he begins to suspect his dying father might really be some kind of hero, as the Snow College Theater Department presents “Big Fish” Thursday through Saturday, Feb. 23-24, and again Thursday through Saturday of next week, March 2-4. Will’s father, Edward, is very sick, and as he spends time with his dad, he wonders about all the wild stories his father told him through the years about befriending giants, werewolves, growing goldfishes, witches and more. Is his dad a liar, or does he just love storytelling? Will is a journalist, and as he starts to investigate his dad’s preposterous stories, he learns what may be the truth. And on the way, he learns truths about himself, his beliefs and how to face life. Milinda Weeks is the director of this wonderful play of discovery. Curtain time is 7:30 p.m. at the Eccles Center for the Performing Arts. Tickets are: $9 for adults and $8 for seniors and for students and high school age and younger. Tickets may be bought at the box office in the Eccles Center or at www.snow.edu/theatre. GUNNISON—Gunnison Valley Hospital (GVH) and Health Catalyst, a healthcare data analytics company based in Salt Lake City, have announced a partnership to improve health outcomes for hospital patients. According to management from both organizations, the pro bono arrangement reflects the values and mission of both organizations. The GVH staff is well receiving the partnership, thanks to the enhanced level of care patients will be able to receive. The relationship will start with labor and delivery improvement initiatives. According to the Center for Disease Control, in 2015 the primary Cesarean delivery rate (births to women without a previous Cesarean) accounted for 21.8 percent of all births nationwide. According to GVH statistics, the hospital is already well below this national average at 14 percent. Leveraging the partnership with Health Catalyst, the hospital has set the goal to reduce this number even more. Additionally, the hospital has a goal to decrease the composite neonatal complication rate (such as low birth weight, and other issues). The GVH has more outcomes improvement work planned as the hospital staff accomplishes the initial goals. MT. PLEASANT — Sanpete County mayors and commissioners meeting received reports on a new economic development study taking place in the county and on the problem of deer kill on Sanpete County roads during their meeting last Thursday, Feb. 16. Dr. Don Albrecht, director of the Western Rural Development Center at Utah State University, described the Area Sector Analysis Process (ASAP) program, which is a program designed to research the particular attributes of a region to match the area up with businesses that are most likely to succeed. The State of Utah has already engaged the WRDC to conduct such a study for Sanpete County, and Albrecht explained how the program worked. The research focuses on the resources present in the county, combined with the businesses and industries that the citizens would like to see in Sanpete. The “resources” can be a number of things. For example, the infrastructure (nearness of interstate highways, railroads, airports, harbors, or major roads), mineral resources, workforce resources (type of workers, education level, how many), other businesses already located there and access to Internet can all be resources. While WRDC can ascertain the resources of the county through its own efforts, the desires of the citizens will be answered through survey. Albrecht handed out survey cards to local officials at the meeting and reported 131 surveys had already been collected. The survey measures the economic, social and environmental desires of the citizens. Albrecht cautioned that the survey would be tough—“you have to make tradeoffs”—because some desires may be detrimental to other desires. For example, most would agree that economic development is desirable to all citizens in Sanpete County. However, certain industries bring costs, such as pollution, higher population density and greater possibility of crime, that the citizens would not want in their county. The ASAP will take the results, and analyze which businesses would be most desirable and most likely to succeed in Sanpete County. Albrecht said the results will identify some businesses that would more desirable in the short term—they fit the resources currently present in the county and are desirable to its citizens. 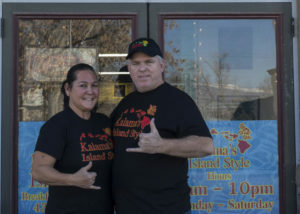 Other businesses would be long-term goals for the county—they would be very desirable to the citizens in Sanpete but the resources to support those businesses do not yet exist in the county. Albrecht pointed out that individual communities inside Sanpete could utilize the services for their own purposes; the results could be tailored to specific zip codes. But Albrecht said that any development in the county, no matter where it occurred, would benefit all parts of the county. Mayor David Blackham of Mt. Pleasant asked what would be the cost if individual cities wanted to access the research for their own purpose. Albrecht answered that since the ASAP has already been funded through the state and the counties, there would be no further cost to the cities to use the research. Commissioner Steve Lund addressed the audience regarding a request from the Sanpete County Planning and Zoning Commission. 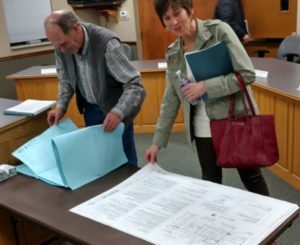 Lund asked the cities to send to the Planning Commission information regarding their annexation plans and buffer zone maps in time for the April meeting of the commission. Mayor Randall Cox of Sterling made an announcement to the group about deer and elk that had been transported to the White Hills landfill. In November 2016, he said, 13 tons of animal carcasses were brought to the landfill. In December 2016, 8.29 tons were brought. In January 2017, the total was 9.40 tons. Cox voiced his concern about the number of deer being killed on the roads and the hazard it presented to Sanpete drivers. Garry Bringhurst, landfill administrator, added that 607 animals had been killed in the three months in Sanpete County, which he said translated to accidents that did an average of $4,000 in damage to each vehicle involved. And, he said, four people have died in recent years in collisions with wildlife along county roads. Cox “challenged” the commissioners to go to the Governor’s Office to see if something can be done about the problem. “There’s gotta be a way to slow this down,” he said. Commissioner Scott Bartholomew replied, “I would be more than happy to go with you,” but cautioned that the real problem was that there were too many private land owners along the roads leaving gates open through which the deer could travel. Bartholomew also said he knew the Legislature would only tell commissioners that they had to get their drivers to slow down. Bringhurst wanted to bring to the group’s attention the state of the contract with the operator of the Sanpete cooperative landfills. He gave out the numbers for tonnage processed at the county landfills for the last three months. In November, it was 912.14 tons; in December, 723.41 tons; and in January, 712.14 tons. From those figures, the commercial tonnage was 480.0 in November, 471.13 in December and 489.15 in January. Bringhurst also pointed out that a significant portion of that tonnage was rejected birds from Norbest. In November, 90.17 tons of rejected birds were brought to the landfill; in December, 154.53 tons; and in in January, 84.93 tons. Bringhurst said the landfill association is over the contract tonnage with the operator of the landfills and he believed the organization should look to renegotiate that contract to give the operator a raise for his efforts. Now is the time for our state to make a major investment in education. As Co-Chairs of “Our Schools Now,” we endorse raising the state income tax by 7/8 of 1 percent, from 5 percent to 5.875 percent. The rate will still be a full percent less than it was ten years ago before it was cut. It will raise $750 million to go directly to classrooms in every public school across the state. The increase in funding is to be accompanied by a plan to improve student outcomes in our schools. As legislators begin this session, they are asking if we could or would support raising revenues in a different way or if we would settle for something less. We encourage the debate. We aren’t locked into a specific revenue target. What is important is that Utah establish a revenue source for education that will cover the necessities; teacher salary equity and funding for projected enrollment growth — while also investing in the things that will drive improvements in outcomes for the next decade and beyond. The drivers we are focused on are improvements in reading and math competencies, and the graduation of high school students who are college and career ready. Money is required for things like professional development, support staff, technology and early learning. The source of the funding or dollar amount isn’t as important as a commitment to fund a comprehensive plan to move the needle. Just funding inflation and enrollment growth will not begin to address the need Utah schools and students have. A number of other suggestions have been made about how to raise more money for education. We are looking for a real solution and the debate needs to move from laundry lists to specific proposals. These alternative revenue sources, as well as the proven strategies for school improvement, have been studied for years. Now is the time for action. Our real objective is to reach the widely accepted Utah goal of 66 percent of the working age population with a degree or meaningful certificate. Currently, less than 50 percent of Utahns have the education necessary for the demands of the modern workforce. Our plan would direct 85 percent of the money to K-12 schools (15 percent to higher education), which is where we have the greatest investment needs in order to reach the 66 percent goal. Some say raising the income tax will hurt business in Utah and stall growth. Improving educational outcomes is the best thing we can do to stimulate business and growth. That is why the Salt Lake Chamber of Commerce board of governors and the board of the Economic Development Corporation of Utah have both unanimously endorsed Our Schools Now and why business leaders throughout the state have joined our call to action. Gail Miller, Scott Anderson and Ron Jibson are longtime Chief Executive Officers at Larry H. Miller Group of Companies, Zion’s Bank and Questar, respectively. They currently serve as Co-Chairs of Our Schools Now, a 2018 ballot initiative for improved student performance in Utah. For more information, visit: www.ourschoolsnow.com.